I have made no secret as to my passion for the Julie Nutting Doll stamps. Other than the fact that they are pure fun to play with, they are so versatile (if you have the patience) and she keeps putting out new ones. 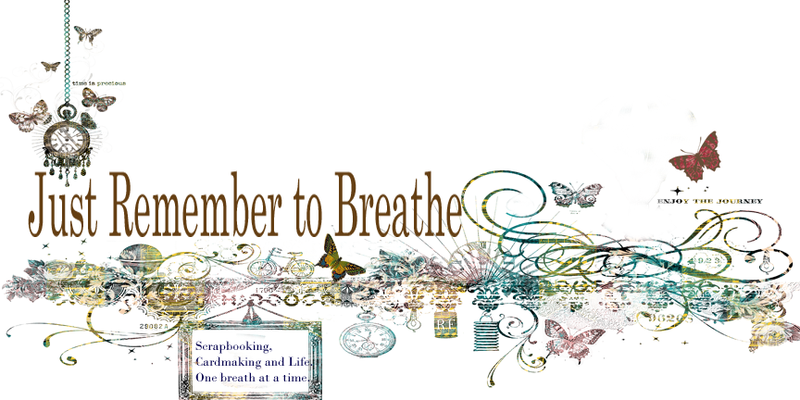 These cards are simple, with not a great deal of fine embellishment that my lovely friends use, but they are still cute. 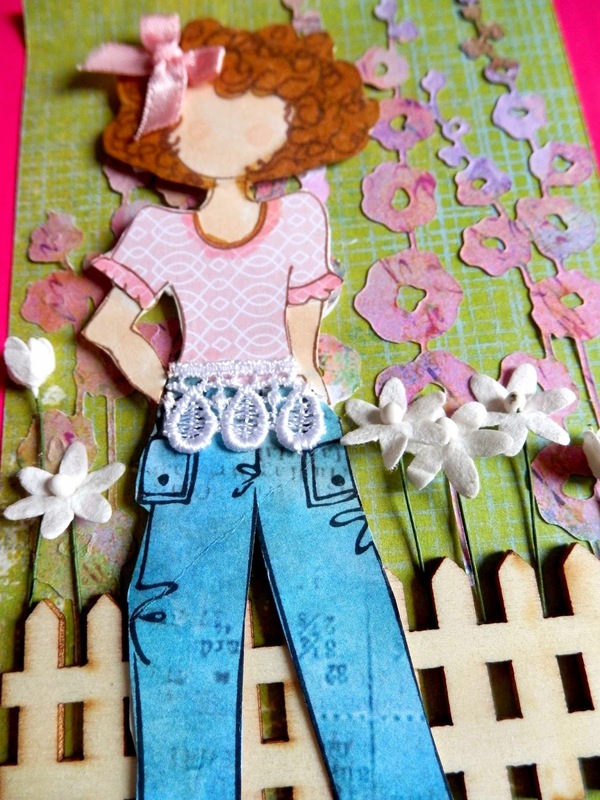 This one is using the Chiara stamp, but I've dressed her in Aidan's jeans....that's right she's wearing boyfriend jeans! She is embellished with a Green Tara satin bow, Green Tara white stemmed flowers (de-stemed) and Green Tara lace. My Hollyhock Die is getting a work out as the background flowers and a wooden fence keeps the garden in place. Now on to an old favourite of mine - Riley. 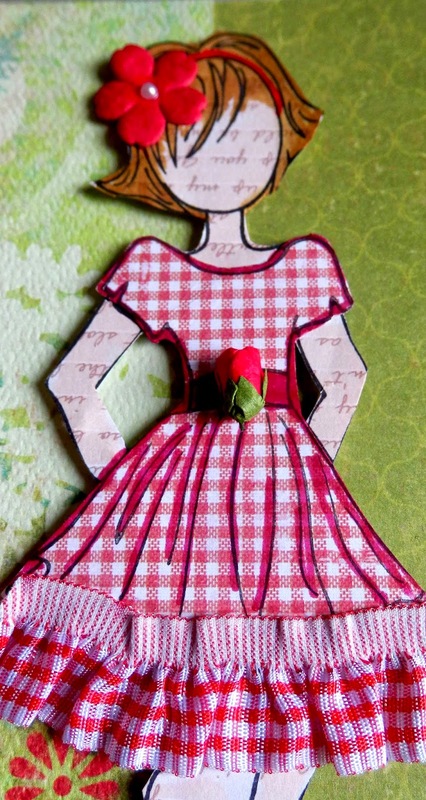 I really love her stance and flirty little dress, which I've embellished with some Green Tara red gingham frill ribbon, a Green Tara mini rosebud, Green Tara small red petal and a pearl. 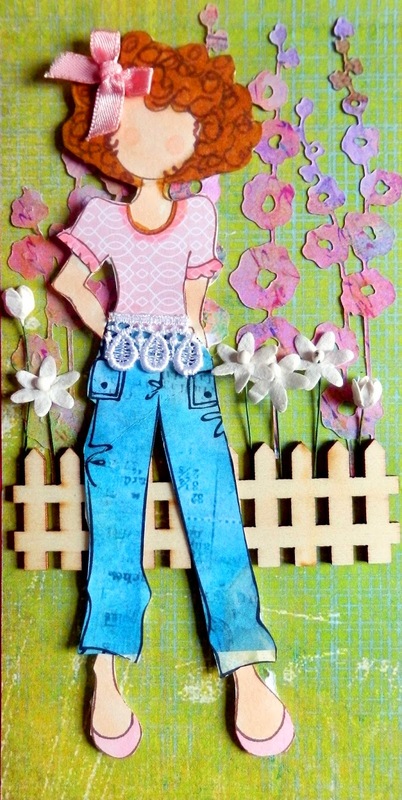 Gorgeous dollies....I love Chiara wearing her boyfriend's jeans and the hollyhocks look fabulous. The gingham frill ribbon looks terrific on Riley. Great work. LOVE the idea of the boyfriend jeans!!! Makes a real statement! Both are so fabulous! Love the background fence and flowers too! !